The birds are anxious for spring to come. Every morning a northern cardinal sings outside my window before dawn. Some days he begins as much as an hour before sunrise, then pauses and starts again a half hour later. He isn’t singing all day yet, but he’s getting ready. On good days the Carolina wren pipes up after Mr. Cardinal has been singing for a while. The wren is not as persistent. He sings a couple of “tweedles,” then waits for first light. It’s March! Yesterday was like a lion. How soon will March be a lamb? They (actually many types) have been singing and eating faster than I can fill the feeders! 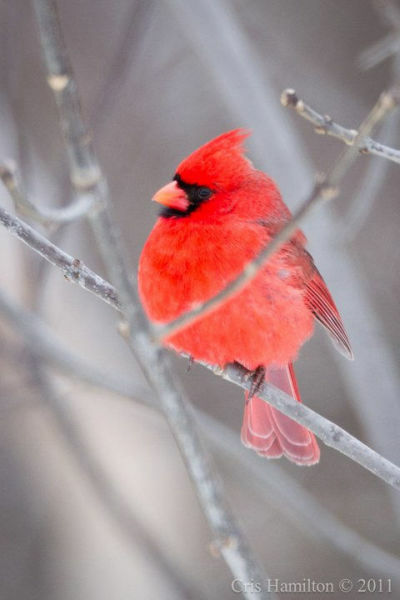 I heard a cardinal about 6:00 am this morning and he was singing up a storm…..oh lovely spring is coming….